An artist is defined as "a person whose creative works displays skill and craftsmanship with imagination, ingenuity and beauty". Original, innovative, creative are just a few words that describe the music of Ray L. Baker. 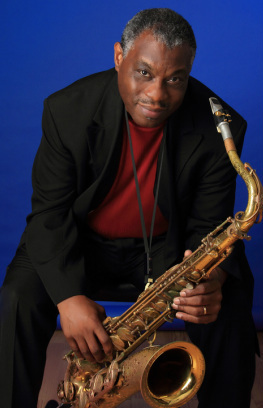 For more than three decades, the professional performance of Ray L. Baker on the piano, alto, soprano, and tenor saxophones have been entertaining and motivating to all listening ears. Ray’s heart’s desire is to touch people’s lives through music. Ray studied music and Business Administration at Wichita State University. While in college Ray formed and played with many different groups and begin writing music. He also accepted Jesus Christ as Lord and Savior of his life. "Most musicians play, Ray Baker is a musician who works"
Ray is more than a musician, he is an artist. The versatility that Ray expresses through his music incorporates jazz, funk and Latin styles. Besides his proficiency on the saxophone. Ray’s talents also include songwriting, arranging, orchestrating, and producing. Ray has performed concerts all over the United States, Mexico, and Jamaica. 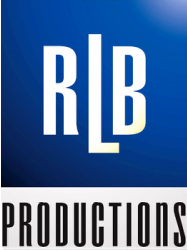 Ray's performances includes private and corporate events and dinner banquets, music festivals and concerts. Ray also produces the Jazz OnStage Concert Series, showcasing his extensive collection of original music and the Joy To The World Jazz Concert, a presentation of his jazz arrangements of Christmas Carols . Ray has recorded several CD's spotlighting his original work. “Sweet Honey" dedicated to his wife, Pamela, whose name means, “all honey”, "Nights In Lajitas" and his latest release, "Jazz Revelations I". 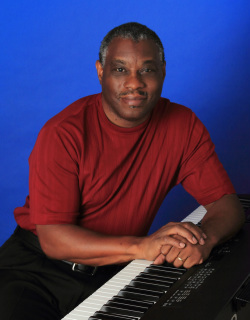 Experience the music and the artistry of Ray L. Baker.